Need help finding a new photocopier? Ask one of our office printing experts. Already know what type of new photocopier you need? 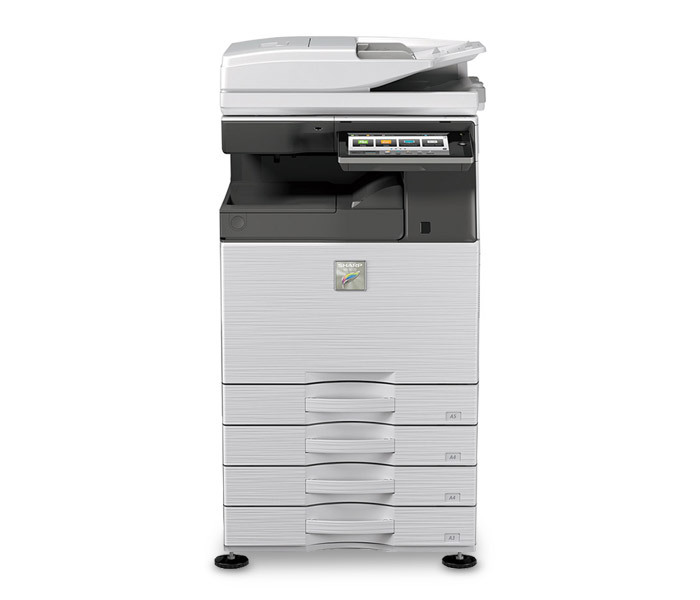 We guarantee delivery and installation with the purchase of any A3 photocopier model. Reproduce documents in stunning and vivid colours with our new range of colour photocopiers. Our commitment to providing customers with the best printing solution is one of the reasons why we're still operating today. We're not going to selling you one brand or model that needs to be cleared from the warehouse floor. We always listen to our customers and offer them a model and service agreement that's tailored to their office's needs. From wireless connectivity to economic print settings, our copiers provide the perfect office solution. Our photocopiers are stacked with the features you have come to expect from newer models. Buy one of our new photocopiers and we'll deliver to your office and install it. Our experienced technicians will make sure your new model is fully integrated with your office network. Our service agreements are custom-designed to suit your photocopier's performance and usage. Ongoing maintenance checks and toner refills are scheduled to keep your model running seamlessly. We've been selling new photocopiers to Melbourne offices for over 25 years. All our staff are current or former technicians with the knowledge to find you the best photocopier for office printing tasks. Looking for a particular brand or model? Ask us, and we'll respond within the hour to let you know if we stock it. For over 25 years we've provided Melbourne offices with print and copy solutions that improve office workflow and productivity. We listen to you and offer a model and service agreement that's tailored to your office's needs. We offer same day service calls for photocopier repairs, maintenance, and refills. Maintenance costs for repairs and toner refills can be covered by a Copysonic service agreement. We're a family-owned business with no brand loyalties. We don't limit which printer models we can offer you. Need a new photocopier? Tell us what you need, and we'll find the best printing solution for your office. Contact us over the phone or by email to discuss your office's needs for a photocopier. A face-to-face meeting can also be arranged to discuss your needs. We provide detailed quotes for models and service agreements. Our goal is to find a printing solution that will cater to your office's needs and match your budget expectations. After you decide on a new photocopier for your office, we'll arrange the best day to deliver and install your new model. Our technicians will take care of the entire process of delivering and installing your new photocopier. We can also connect your photocopier to a wireless network if needed. Our technician will provide a quick walk through of the copier's basic functions before a handover is complete. Your model is automatically covered under a 12-month warranty. Which new photocopier brands do you sell? We sell a range of reliable brands that include Toshiba, OKI, Brother, and Ricoh. Our stock is constantly being updated. Contact us today to find out if any new brands or models are available. Do all new photocopiers come with a warranty? Yes, they do. All of our new models come with a 12-month warranty. If you purchase your new photocopier with a service agreement, we can extend your warranty up to five years and cover the cost of parts, labour, and toner refills. Can you dispose of my office’s old photocopier when you install a new photocopier? Yes, we can. Just let us know you want to dispose of an old photocopier before our technicians arrive at your office to install a new model. How about if I only need an A4 photocopier? 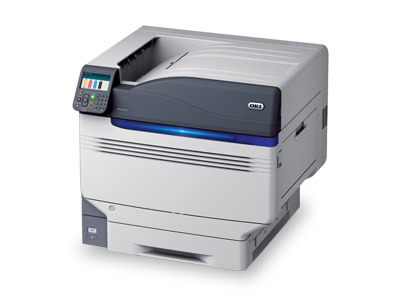 We stock a range of selected photocopiers that only print and scan A4 size documents. How will I know which brand, model or type of new photocopier is right for me? We can help you choose the right photocopier for office workflow. We listen to our customers and suggest models based on their office needs. How soon can you deliver a new photocopier to my office? After confirming which model you would like from our suggestions, we can deliver your new photocopier within two business days. How long does it take to install a new photocopier? Installation times for new photocopiers can vary. It really depends on the model, your office setup, and networking capabilities. Our technicians can deliver and install a new model over the course of one business day. Can your technicians connect new photocopiers to a wireless network? Yes, we can. Our technicians will install your photocopier and ensure it's properly connected to your office's wireless network. Fill out and submit the form below and we'll answer any questions you have about our new photocopiers.